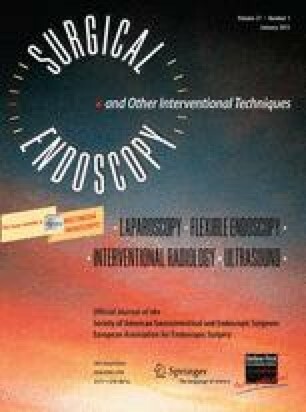 Few reports describe the use of laparoscopic pylorus-preserving pancreaticoduodenectomy (LPPPD) in centers with experience using this technique. In addition, the clinical outcomes of this procedure remain undetermined. In the current study, 100 patients with benign or malignant lesions in the pancreatic head underwent LPPPD between May 2007 and December 2011. The overall clinical outcomes and changes in these outcomes during the surgeon learning period were analyzed to assess the feasibility and safety of this procedure. Pathologic examination of the pancreas confirmed intraductal papillary mucinous neoplasms in 37 patients, solid pseudopapillary tumors in 17 patients, neuroendocrine tumors in 15 patients, serous cystic neoplasms in seven patients, pancreatic ductal adenocarcinomas in seven patients, ampulla of Vater tumors and duodenal gastrointestinal stromal tumors in five patients, and other disease in seven patients. The median operative time was 7.9 h, which decreased with accumulating experience of the surgeon using this procedure, from 9.8 h for the first 33 cases to 6.6 h for the last 34 cases. Complications developed in 25 % of the patients, including six cases (6 %) with significant pancreatic fistula [International Study Group on Pancreatic Fistula (ISGPF) grade B]. The complication rate decreased from 33.3 % for the first 33 cases to 17.6 % for the last 34 cases. The mean hospital stay was 14 days, which also decreased from 20.4 days for the first 33 cases to 11.5 days for the last 34 cases. For the 12 patients in the study cohort with invasive malignant disease, the median tumor size was 2.8 cm, and the median number of lymph nodes harvested was 13. All the patients had margin-negative R0 resections. The LPPPD procedure is technically safe and feasible, with an acceptable rate of morbidity and other clinical outcomes for benign and malignant diseases. Clinical outcomes can be improved once a learning curve has been overcome. Presented at the Society of American Gastrointestinal Endoscopic Surgeons (SAGES) 2012 Annual Meeting, March 7–10, 2012, San Diego, CA. Song C. Kim, Ki B. Song, Yong S. Jung, Young H. Kim, Do H. Park, Sang S. Lee, Dong W. Seo, Sung K. Lee, Myung H. Kim, Kwang M. Park, and Young J. Lee have no conflicts of interest or financial ties to disclose.